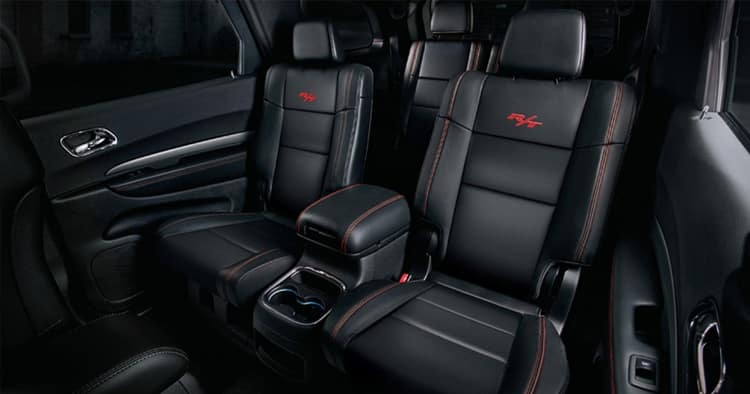 When it comes to finding the right truck to suit your needs, the 2018 Dodge Durango has a selection of trims, features, and options to ensure a stylish ride with plenty of room. The 2018 Durango is available in several trims. In the rear-wheel-drive (RWD) category there’s the SXT, GT, Citadel, Citadel Anodized Platinum, and R/T. The all-wheel-drive (AWD) category includes the SXT, GT, Citadel, Citadel Anodized Platinum, R/t, and SRT. Exterior features also include body-colored door handles, power-heated side mirrors, body-colored front bumper, and rear step bumper. 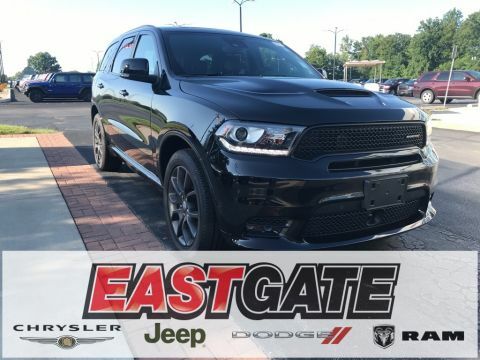 Black side window trim, deep tinted glass, LED brake lights, front fog lamps, and chrome door handles round out the Durango’s exterior enhancements. The Durango offers a choice in engine size and horsepower. 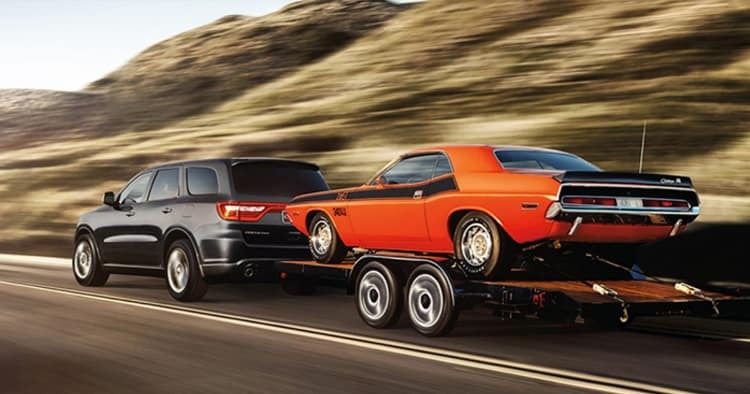 The SXT and GT RWD and SXT and GT AWD come with a 3.6L/220 V6 engine with estimated gas mileage of 19 in the city and 26 on the highway. The Citadel, Citadel Anodized Platinum, and R/T AWD is powered by a 5.7L/345 V8 HEMI MDS VVT engine with an eight-speed automatic transmission and 14 mpg (city) and 22 mpg (highway). The SRT AWD is equipped with a 6.4L/392 engine with 13 mpg (city) and 19 mpg (highway). 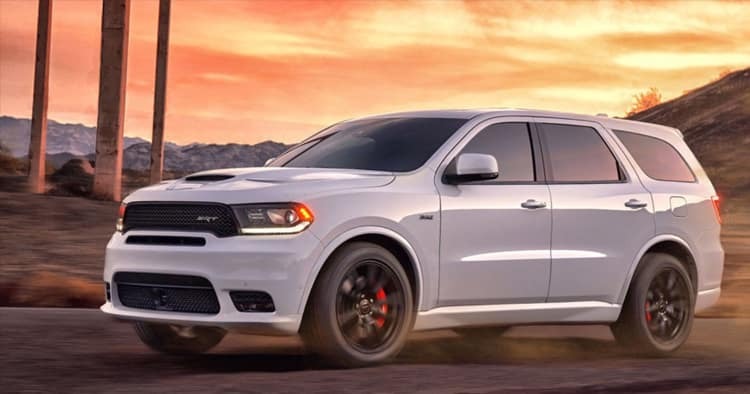 The 2018 Durango has a high-performance drivetrain, with its powerful suspension, powertrain, and smooth braking system. The SUV also excels in towing power, with a V8 and V6 engines that can haul/tow up to 6,400 pounds. 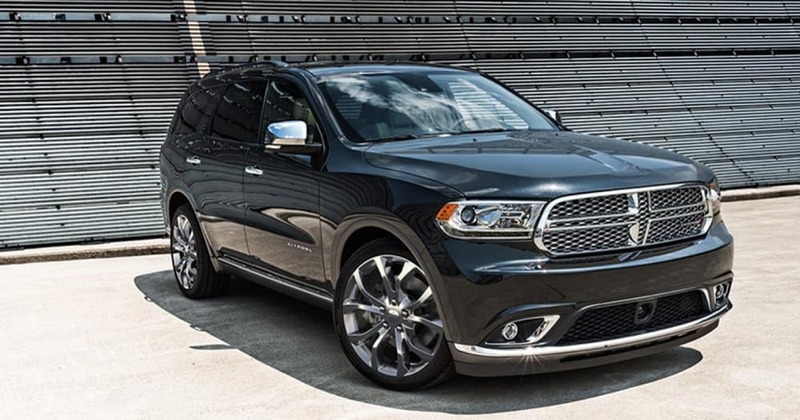 Despite having such a powerful engine, the Durango doesn’t sacrifice gas mileage. Here’s the breakdown of its fuel economy (mpg) for city and highway. The 3.6L RWD rates 19/26, the 3.6L AWD rates 18/25, the 5.7L RWD and AWD rate is 14/22, and the 6.4L AWD is 13/19 mpg. The Durango models offer a comfortable and convenient ride for the driver and passengers. Seats are equipped with four-way adjustable seats with moveable armrests; the seats can also fold flat for added storage. Remote keyless entry, vanity mirrors, garage door transmitter, and passenger and driver door bins provide added convenience. Models may be fitted with cloth, leather suede, or luxury leather bucket seats, and heated seats. Some models also have cargo space lights, fade-to-off interior lighting, and map lights. The Durango provides a variety of entertainment options depending on the model, such as the Uconnect 4 system with a seven-inch display, radio, wireless streaming, two LCD monitors, steering wheel controls, audio input jack, 12V DC and AC outlets, SiriusXM Guardian Selective Service Internet, Apple CarPlay, and Google Android Auto. Safety is at the forefront of the Durango package. Safety features for the driver and passengers include dual stage seat-mounted side airbags, passenger and driver front airbags, driver knee airbag, an airbag occupancy sensor, airbag curtain for the 1st, 2nd, and 3rd row, front shoulder and lap safety belts, and rear child-safety locks. On the road, the Durango supports safer driving with its ParkView BackUp Camera, ParkSense Front and Rear Sensors, a warning system to detect low pressure in a specific tire, and roadside assistance for emergency situations. Overall features include Roll Stability Control (RSC), Electronic Stability Control (ESC), side-impact beams, and ABS and Driveline Traction Control. 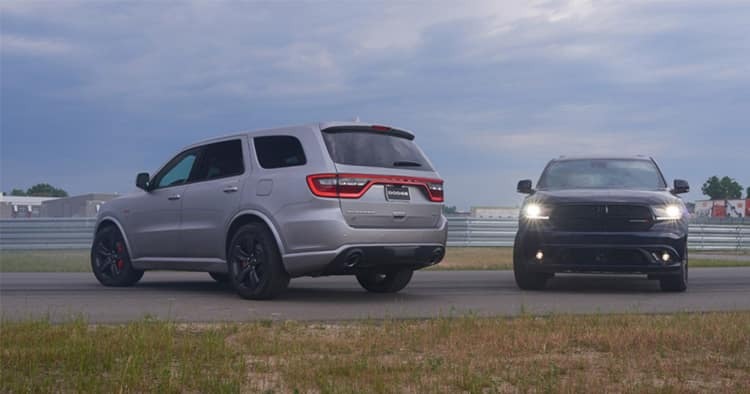 Whether you’re looking for a traditional ride or one with extra power, the Dodge Durango provides plenty of horsepower, solid performance, and driver-and passenger-friendly features on each of its 2018 models. 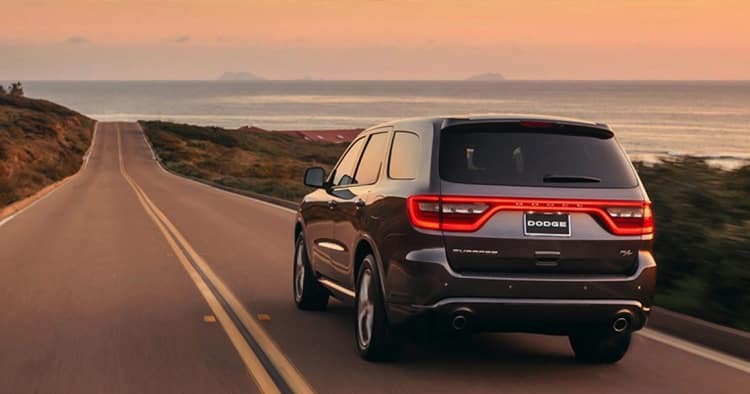 Get behind the wheel of the 2018 Dodge Durango and schedule a test drive today!